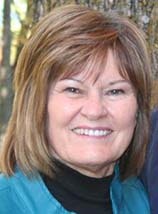 Helen Danielson formerly worked with North Dakota KIDS COUNT- Network - Liaison; ND Early Childhood Training Center - Director; NDSU Extension Service -Television and Radio. She has a BS and MS degree from NDSU College of Human Development. Presently, she enjoys her “Grandparent” role to 4 young grandchildren. We all have the capacity to mentor others. Our very presence is an example to those around us. Ralph Waldo Emerson captured this best when he wrote, “What you do speaks so loudly that I cannot hear what you say.” For this reason, we must all be aware of the impact our actions can have in shaping the life of a child. Mentorship plays a critical role in a child’s development and we must not overlook opportunities, both formal and informal, to impact a young life. How do you mentor children? From the time children are born, they are mentored by others. The care of grandparents, caregivers and other adults sends a message to young children that they are not alone in their journey through life. The mentor-mentee relationship is reciprocal and beneficial for all involved. Mentors can participate in a variety of developmentally appropriate experiences with their mentee. Young children may enjoy reading books or helping with household chores. Pre-adolescent and adolescent children may like volunteering, having you come to watch a game or concert, showing you how to use an I-pad or smartphone. Older youth may like shadowing or apprenticing in their area of interest. Research confirms that mentoring works! What are some of the benefits of mentoring? Be honest • Don’t deceive, cheat, or steal • Be reliable — do what you say you’ll do • Have the courage to do the right thing • Build a good reputation • Be loyal — stand by your family, friends, and country. Treat others with respect; follow the Golden Rule • Be tolerant and accepting of differences • Use good manners, not bad language • Be considerate of the feelings of others • Don’t threaten, hit or hurt anyone • Deal peacefully with anger, insults, and disagreements. Do what you are supposed to do • Plan ahead • Persevere: keep on trying! • Always do your best • Use self-control • Be self-disciplined • Think before you act — consider the consequences • Be accountable for your words, actions, and attitudes • Set a good example for others. Do your share to make your school and community better • Cooperate • Get involved in community affairs • Stay informed; vote • Be a good neighbor • Obey laws and rules • Respect authority • Protect the environment • Volunteer. 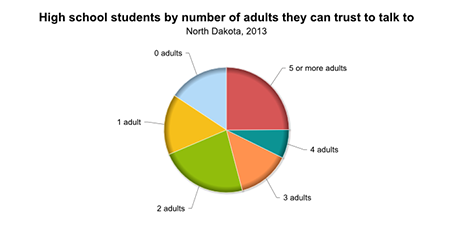 How does North Dakota families’ need for mentoring compare to the nation? While North Dakota KIDS COUNT (NDKC) reports that our state is 6th best in the nation for overall child well-being, one cannot ignore the fact that there is much room for improvement. North Dakota has the fastest growing population in the nation. In addition, consider that North Dakota leads the nation with the largest percentage (88%) of children living with their mothers (married or single) and also, is second only to South Dakota with the most mothers (82%) in the labor force compared to 73% nationally. The demands on families is even greater when both parents work. Again, NDKC reported the highest proportion of children ages 0-13 (78 percent compared to 69 percent nationally) who lived in situations where all parents were in the labor force. In turn, this elevates the role of mentoring. How can you mentor today’s youth? There are different types of mentoring relationships. The informal/unstructured mentorship occurs naturally, usually due to proximity or pre-established relationships; such as a friend of the family, neighbor, or grandparent. The formal/structured mentorship is coordinated through an organization such as a school, community group, faith-based organization and matches a child with an adult for regular meetings and activities. It may also include an apprenticeship with a professional. The Big Brother/Big Sister Program is a formal matching program offered through The Village Family Services in Fargo-Moorhead community with children on the waiting list for volunteer mentors – especially boys in need of male role models. There are a variety of “companion” and “best friend” community programs in the larger cities across the state, but rural communities rely more on informal relationships. Mentoring can make a positive difference in the life of the child, the mentor, and the community. Investing time and energy in long-term mentor/mentee relationships with our youth is critical to preparing them for a future of serving themselves and others.